A welcome site for your door or wall in your home! 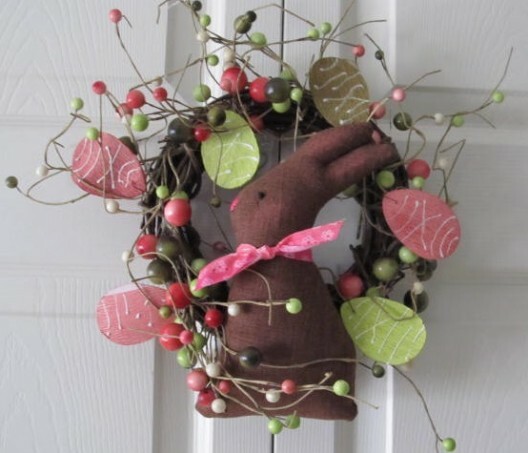 This Springtime Easter Wreath would make a nice addition any room in your home, and make a wonderful addition to a local nursing or senior home residents door to bring a little springtime into their facility! A teacher thank you, or a friend anyone that you would need to honor! 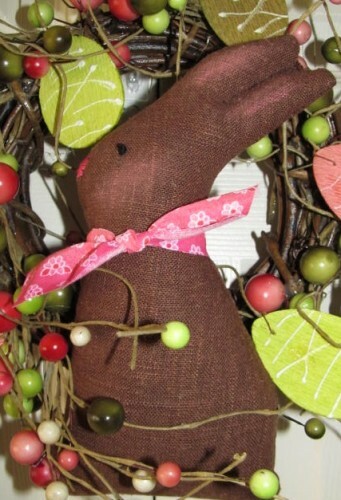 This wreath is one of a kind measures only 12" wide decorated with pip berries, and tin pressed eggs, and is finished with one of our hand crafted stuffed chocolate bunnies! 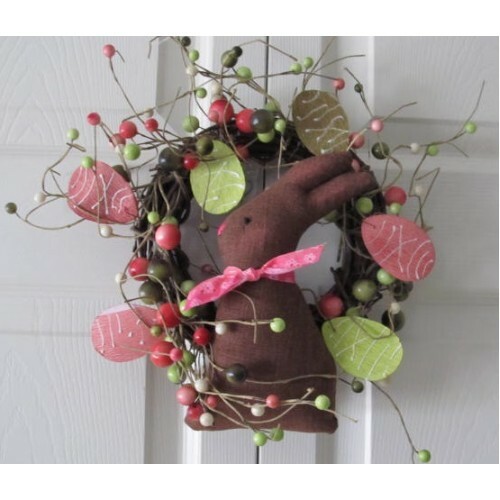 This country bunny springtime Easter wreath is ready to hang!